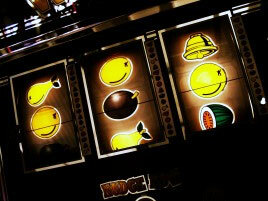 Slot is a game that depends largely on chance or luck. However, there are some strategies developed over the years which many players do apply. Each of these strategies is unique in themselves. Some of the strategies require that a player should leave a slot machine at a particular time during his play. Chicken and squirrel strategies are two of such strategies. In these strategies a player has to bet according to a specific pattern but he has to decide when to call it a quit with the machine in order to try another machine. The names of these strategies explain the basic features of these strategies. So, one should not wonder why such a name should be used in slot. As the name suggests, chicken strategies requires that a player should move from a slot machine to another just as a chicken move from one place to another. However, the player does not play arbitrary. There is a particular pattern he has to follow. This pattern is to be determined by the player before the game starts. According this strategy a player has to leave a machine for another whether he is making huge profit in it or not in so far as he has completed the playing pattern decided earlier before the game. In order to continue in his game, he needs to choose another machine. Squirrel strategy is also predicated on the behaviour of squirrel, namely, the storing attitude of squirrel. The online player does not need to move from one slot to another. However, the similarities between the two lie in the fact that the player has to decide on the pattern he has to play before starting the game. In squirrel strategy a player is expected to keep his original betting money once he wins. Then he has to divide his winning into two and then continue his game with one portion of his earning if he so desires. The idea behind this strategy is to guide against total loss. If the next session for instance does not favour the player, he still has some money to go home with. In the second session, the above pattern has to be followed. The player should not touch the money saved from the first session no matter how small the amount left with him is. If the amount is too small to continue then he has to leave the slot machine. The process will continue if there is another winning just as in the first process.